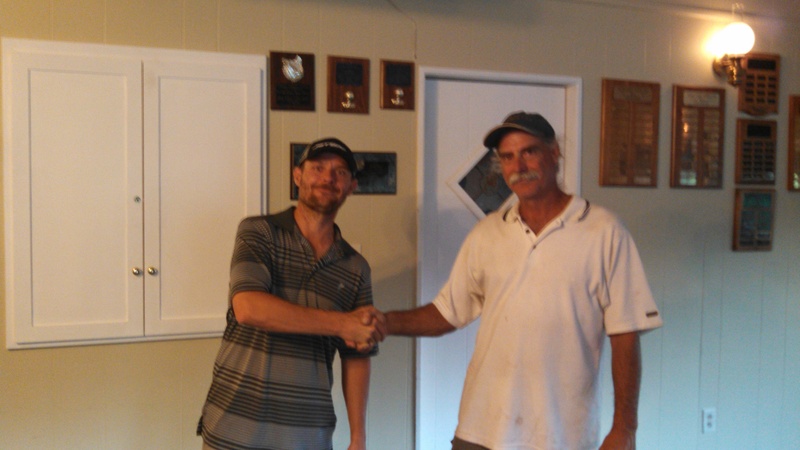 The Summer Tuesday Night League came to a close on 7/22, with the Golfaholics (Dan Neff & Bobby Blackmon) taking the top spot with 119 points. Second place with 110 points went to Old Guys Rule (Bill Fisher, Ted Callison, Jerry Westfall & substitute Jim Beardsley). DANDIE (Dar Cherazi & Andy Wittek) took third place with 109 points, and fourth went to The Supes (Bob Brueggeman, Jay Colvin, Shaun & Mike Ruddy) with 106 points. Congratulations to all the winners! The “Fall” Tuesday night league will start next week, on August 5th, and run thru the end of September.